After completing the greenhouse, putting together some poultry tractors, and installing at least some fencing, this will be the first major project I will tackle. Lifestyles Lane is to be the centerpiece enterprise at Good Life Ranch. It will be an educational simulation about poverty – the reality of poverty, its causes, and its solutions. Participants in this program will get to live life for a short period as someone else in the developing world faces it every day of their lives. It really will be quite an experience! Lifestyles Lane will be set up in a street-like format with housing on each side of the street that approximates living conditions and resources in different areas around the world. We realize that it is impossible to create a home that typifies an entire region, country, or city, so the structures we are creating are meant to serve as realistic examples of a home in the area it is representing rather than an “average” house or the “only” type of house. Each home will be built from materials commonly utilized in the area being represented and will fit the architectural style of the region as well. 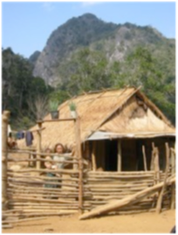 Inside each dwelling will be pictures of the actual region along with the “family history” of the group residing there. Every living area will be surrounded by the resources that a family living in that area of the world might have access to. While in the experience, every participant will also experience the type of job or joblessness that exists for the impoverished of that region. I don’t want to give away too much about the experience and the dwellings here, as part of the curriculum will be the surprises and uncertainties that the impoverished deal with on a daily basis. Here are the areas that we are trying to create in Lifestyles Lane. China – It would be impossible to try to typify China with one small dwelling. It is such a large country and has such a diversity of people and cultures that if we tried to encapsulate them all we would just end up with a stereotype. So I think our Lifestyles Lane experience will focus on one of the ethnic minority groups in China such as the Hmong, Zang, Bai, or Lisu. With over 15% of the world’s population, China is a definite for representation in Lifestyles Lane. We must understand how quickly China is industrializing and what consequences and ramifications that will have around the world. 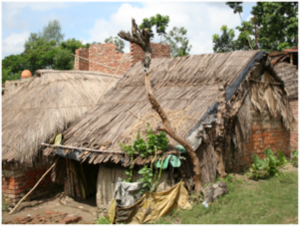 India – Another country with over 15% of the world’s population, India must also be represented in Lifestyles Lane due to their large impact on the world’s environment and economy. 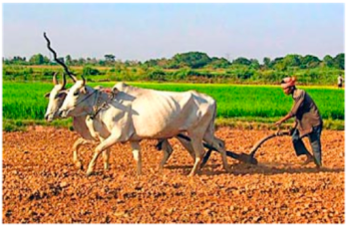 India has areas of rural and urban poverty as well as a wealthy upper class with relatively little middle class in between. Our Indian dwelling in Lifestyles Lane will probably focus on a rural area away from the major cities. Here we will also address the 52% literacy rate and the high infant mortality rate in India. 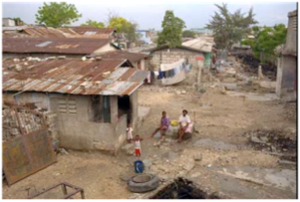 Haiti – The poorest country in the western hemisphere must be included in Lifestyles Lane. Even before the devastating earthquake they suffered this year, most Haitians led an impoverished life relative to the rest of the world. The per capita GDP sits at $1800 and literacy rates hover around 45%. One out of every 10 babies does not make it out of infancy. Lifestyles Lane will explore the reasons why Haiti is so very different from its neighbors in the Caribbean. Peru – Peru has a wealth of cultural artifacts while also having the impoverished remnants of that culture still living throughout the Andes Mountains of the nation. Tourists flock to see Machu Picchu and other Incan ruins. 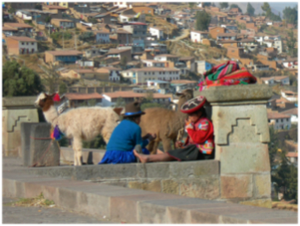 Few of them venture out of Cuzco far enough to see the poverty of the campesinos. The Quechua-speaking indigenous people, descendants of the people making up the former Incan empire, still live in the mountainous regions of the country. Many live without access to electricity, education, or potable water. Kenya – We want to represent several different parts of the world’s most important and impoverished continent. East Africa will be represented with a Masai village. They are one of the groups in Africa struggling to maintain traditional ways while cities, nature preserves, and tourists spring up in their midst. 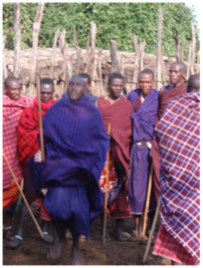 The Masai are a herding tribe and have their villages arranged in huts surrounding their cattle’s night-time corrals. 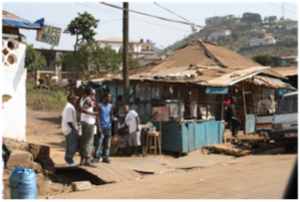 Sierra Leone – Widely considered the poorest country in the world, Sierra Leone will represent west Africa in Lifestyles Lane. We’ll focus on conditions in the diamond mines and how the demand for diamonds in the western world fuels poverty in the developing world. Sierra Leone has an average income of just $510 per family while exporting millions in diamonds and other resources yearly. Cambodia – Still recovering from the effects of Pol Pot and the genocide of the 1970s, many Cambodians have been locked in poverty for a generation. They plant rice in the shadows of Angkor Wat and other cultural treasures while hoping not to trigger one of the thousands of latent land mines still buried in the countryside. Cambodian literacy hovers around 33% and electricity is widely unavailable. Lifestyles Lane will focus on the life of a rural Cambodian family. Moldova – Poorest country in Europe, Moldova is still trying to recover from the fall of the Soviet Union. It is small and landlocked. Moldova is something of an anomaly, with a 96% literacy rate indicating an educated citizenship while the per capita GDP remains at a paltry $2400 per year. Because almost 40% of the revenue generated by Moldovans comes from outside the nation’s borders, families have to spend must of their time separated from each other. This leads to high rates of human trafficking and exploitation as many women and children fall prey to the traffickers while their husbands or fathers are outside of the country trying to earn income for food and basic necessities. Some reports indicate that Moldova’s government may be involved in trafficking its own people. Afghanistan – Definitely one of the most important regions in the world today, Afghanistan remains one of the most impoverished areas in the world with an average family earning just $800 per year and using only 18 kWh of electricity. Literacy has dropped below 33% and infant mortality has risen above 15% in the wake of the Taliban regime and the years of war with the United States and others. South Africa – Here Lifestyles Lane we will show the urbanization of Africa by examining life in the township of Khayelitsha just outside of Cape Town. 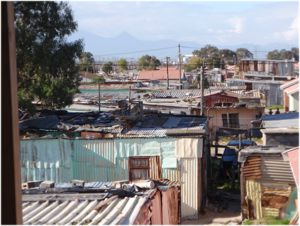 The disparity between the “haves” and the “have nots” in South Africa is incredible, but Khayelitsha demonstrates all the aspects of the slums around any major city in Africa. The cities are drawing people from all over the surrounding countryside with the promise of jobs, education, and a better life. Once people arrive, though, they find the city is not all that they imagined it to be. Yemen – Lying just to the south of Saudi Arabia, Yemen does not enjoy the relative affluence that many Saudis do. Most people in Yemen survive on less than $2 per day. 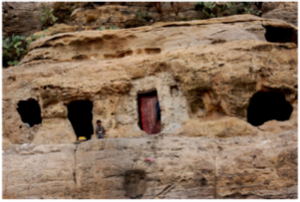 Some have opted to live in caves in the mountains and spend their meager income on food rather than go to the expense of building a structure. The literacy rate is only 38% and expected to decline as oil revenues for this country continue to fall. Yemen, like many other countries around the world, have a great disparity in poverty between the urban and rural areas. Sudan – The largest country in Africa by area, Sudan has been ravaged by wars between different factions of its population. More than 2.7 of the country’s non-Muslim people have been displaced, many of them to refugee camps like the one to the left. Resources within and around the camp quickly become depleted, and crimee escalates as people compete for the scarce resources. Soon the camp is completely dependent upon resources brought in from the outside. 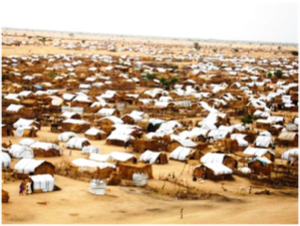 Lifestyles Lane’s Sudan dwelling will simulate life for a Sudanese minority in a refugee camp. 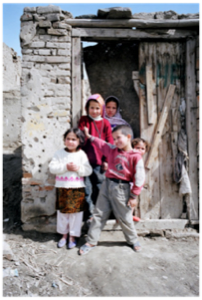 Bosnia and Herzegovina – Still war-torn from the 1990’s, Bosnia and Herzegovina is one of the poorest nations in Europe. Lifestyles Lane will include Bosnia and Herzegovina to explore a different side of urban poverty that includes a decimated manufacturing sector. To this day almost two-thirds of the jobs in Bosnia are factory jobs earning less than $1700 per year. 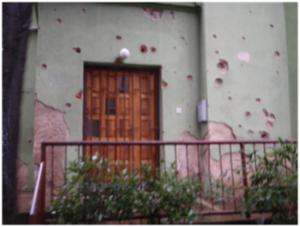 With this low level of income it’s no wonder that bullet holes in homes have never been repaired. Lifestyles Lane will examine poverty in all of those contexts. We will examine the causes of poverty and what solutions are available to us. It will probably take 18 months to create the dwellings and curriculum. We want our former school (The International School of the Americas) to be the first group to bring people to try out the curriculum. We are shooting to be ready to roll in the fall of 2011. Look for updates as structures are completed and the curriculum is written!